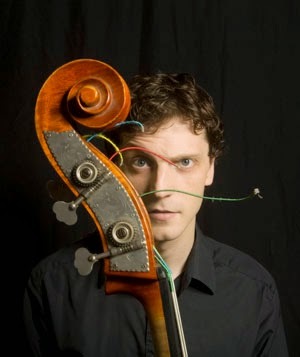 Bassist Phil Donkin brings his international quartet to Wakefield on Friday March 13th, playing material from his latest release on Whirlwind Records, The Gate (featuring Glen Zaleski, Jochen Ruckert and Ben Wendel). Originally from Sunderland, Donkin has been a New York resident for a number of years, which is where he met and played with two of his cohorts on this gig, pianist Glen Zaleski and drummer Colin Stanahan. He is now based in Berlin though has been touring the UK recently with this band. He is joined on this gig by British saxophonist Julian Siegel. It's been a strong week for US jazz in the North, with Ravi Coltrane selling out Howard Assembly Room on Wednesday and this is sure to be a packed gig so arrive early!